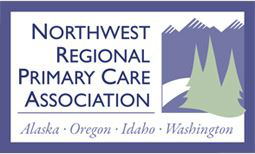 Northwest Regional Primary Care Association, Seattle, WA. The goal of this planning project is to identify how Community Health Workers (CHWs) can be leveraged to enhance the effectiveness of integrated Behavioral Health (BH) and Primary Care (PC) services in community health centers (CHCs). In recent years, (CHWs) have gained recognition as valuable members of the health care workforce. CHWs are effective in facilitating access to care, improving chronic disease management, reducing unnecessary emergency room use, and organizing communities to address the social determinants of health. Despite this recent recognition, efforts to integrate, train, and evaluate the effectiveness of CHWs remain fragmented. There is a need to establish a coordinated strategy that will maximize resources for integrating, training, and sustaining CHWs and CHW programs as part of an integrated care model, and CHCs have an important role to play in the development of this strategy. NWRPCA will spearhead an effort aimed at enhancing the effectiveness of CHWs in CHC settings, and will also engage with colleagues from Community Mental Health Centers (CMHC) to understand how CHWs, including peer support counselors/specialists, are utilized in CMHC settings. Initiate the development of a CHW Training Institute aimed at supporting integration of CHWs into clinical and community-based teams. Conducting outreach to CHCs and allied organizations in the region to identify potential opportunities to enhance training and resources for CHWs and CHCs, both in BH-PC and more broadly to enhance integration of CHWs into CHCs. The key collaborators in this project will be the CHCs in Region X. National and regional subject matter experts, consultants, and advisory members will also be engaged to inform the work. Northwest Regional Primary Care Association (NWRPCA) is a not-for-profit 501(c)3 membership-driven organization that serves community and migrant health centers (C/MHCs) in Alaska, Idaho, Oregon, and Washington (federal Region X). Founded in 1983, NWRPCA offers a range of programs and services to support and strengthen C/MHCs in the Northwest. NWRPCA works to ensure equal access, regardless of one’s financial or insurance status, to primary and preventive health care for all residents living in the region.